Hi readers! I'm off spending time with family this week, so I asked all my guest bloggers to talk about either traveling or family, or both! 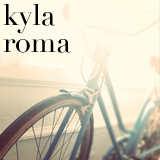 Today please welcome Kyla from Kyla Roma! 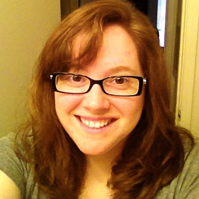 She is one of the sweetest ladies I know and I kind of have a blog crush on her! Growing up, we drove across the country to camp in the mountains every year, and it was always a slog. I didn't think I was every going to be a road trip person- in Canada the highways are narrow and the cities are few and far between, nestled beside mountains, canola fields and industry, but driving the US is a lot of fun! Between the interstates, towns and cities you're always stumbling onto another great little diner or shop. What do you think dear readers? Do you have any travel rituals? Thanks again to Kyla for this great post! Kisses and have a great day! Btw: Today afternoon I will be hosting a great giveaway, so please join in:) ...I bet you both will love it!!! Too cute! I love that at some point, someone has combos for breakfast. I love rituals like that. I have not gone on a road trip for such a long time - probably not until I went out to Colorado for a summer in 2001. I am probably over due. I just usually fly since i am always traveling alone, visiting someone far away. A road trip with a friend (or spouse) sounds wonderful, though! I basically live for roadtrips (because I have a huge fear of flying) and love hitting the open road either by myself or with friends. Like Kyla, I at some point will end up lost but its just another opportunity for some exploring. One day, we want to roadtrip across Canada staying entirely in Canada, and then roadtrip back traveling down into the states! This fall will be my first time EVER crossing the border in a car and I'm a little nervous about the process!! Every year on our way up north camping we make a mix cd. Also, licorice and combos are mandatory. We like taking back roads and eat at the most random places. I love, love, love road trips! They are my absolute favorite. And I also love Kyla's little rituals, especially involving Panera Bread & Target! Hehe. If I'm going on a road trip I ALWAYS buy a crossword puzzle, goldfish crackers, junior mints and a dr. pepper. It's my road trip food =) I make a new CD mix (yes, that's right, I said CD) for the trip as well and listen to it until I can't take it anymore! Other than that, it's imperative that I have at least *one* good book, a comfy hoody/sweatshirt and my camera.